The appeal had first come up before the Bench of Justice Thakker and Justice Altamas Kabir, who had a difference of opinion regarding interpretation of Section 34 of the Recovery of Debts Due to Banks and Financial Institutions Act, 1993 and as a result, the Chief Justice referred the matter to a three judge Bench. The appeal in the Apex Court was filed by KSL & Industries against the judgment of the Delhi High Court. 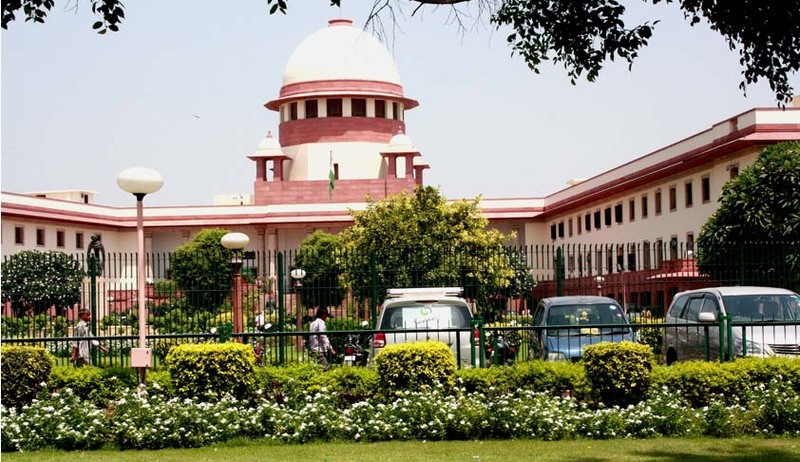 The Delhi High Court had held that “in view of the bar contained in Section 22 of the Sick Industrial Companies (Special Provisions) Act, 1985 (hereafter referred to as `SICA') no recovery proceedings could be effected.” It was on this appeal, that there was difference of opinion in the two judge Bench of the Supreme Court. The case arose as M/s Arihant threads had set up an export oriented spinning unit for manufacturing cotton yarn in Amritsar in 1992. They had taken a loan for the same, which was backed by security. The company failed to replay loan instalments, after which the Bank approached DRT, which passed an order in favour of the Bank. Further, an appeal was filed by the company in the DRAT, which then stayed the ex-parte order passed by DRT. The Recovery Officer issued a composite demand notice under Rule 2 of Second Schedule of the Income Tax Act, 1961 against the Company and directed them to appear for settling terms and conditions of the proclamation of sale and for disclosure of its movable and immovable assets. Thereafter, the Recovery Officer fixed the reserve price of the movable and immovable properties at Rs. 12.50 crores. Later on, the Company filed an appeal under Section 30 of the RDDB Act against the order fixing reserve price of the movable and immovable properties. Thereafter, the appellant (KSL) was the highest bidder in the auction and became the auction-purchaser. The Company also moved to get the ex-parte order vacated, and the same was opposed by KSL and Industries. Allowing, Company’s appeal, DRT-I, Delhi, set aside the auction sale subject to payment of a certain amount, interest, expenses, etc. Both the parties then filed the appeal in DRAT, which stayed the order by which the ex-parte order against the Company was set aside and directed refund of sale amount to KSL and Industries. Thereafter, the Company invoked the provisions of SICA. The matter then reached the Delhi High Court which set aside the order passed by the DRAT, Delhi on the ground that in view of the bar of Section 22 of the SICA, the recovery proceedings could not be pursued against the Company and no order ought to have been passed by the DRAT, Delhi. When the mater reached the Supreme Court, the Division Bench had a difference in opinion and the matter as a result the three judge Bench which has delivered the present judgment. In the present judgment authored by Justice Bobde, the Court discussed the scheme and purpose of the Sick Industrial Companies (Special Provisions) Act, 1985 and Scheme And Purpose Of The Recovery Of Debts Due To Banks And Financial Institutions Act, 1993.